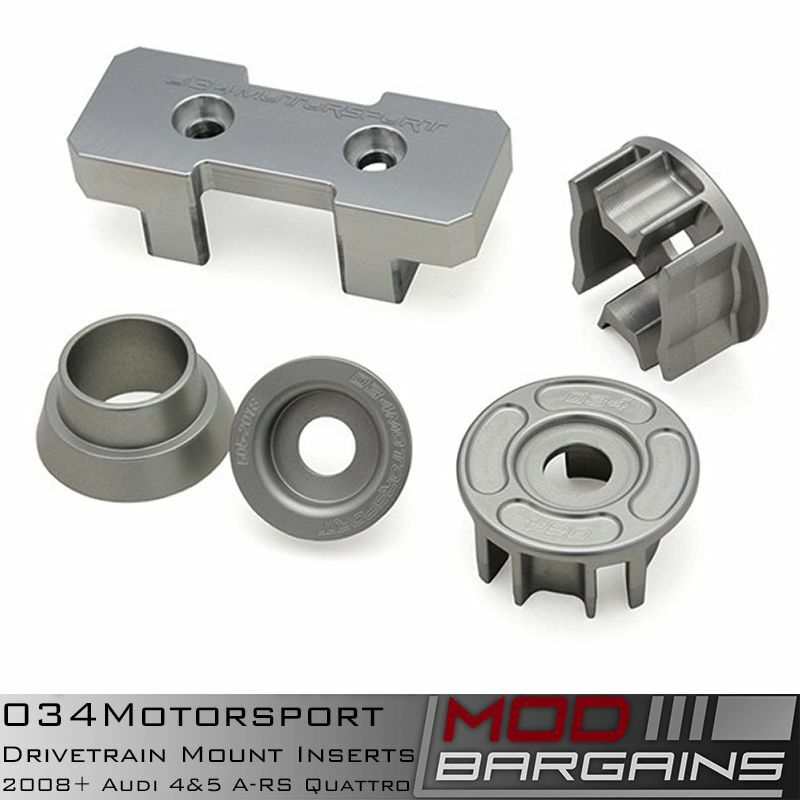 034Motorsports Density Line of engine mounts are the Go-To upgrade or replacement for your Audi B8/B8.5 Based vehicle such as the 2.0L A4, A5 and Q5. These mounts are optimized to offer stiffness for your A model that is noticeably firmer then even the OEM S mounts (50 vs 45 Durometer ) all without transferring any additional NVH into the cabin. In addition the the added firmness of the rubber, these mounts also remove the large voids found in the OEM design further improving driver feel and prolonging the life of the mounts with fail-proof internals. 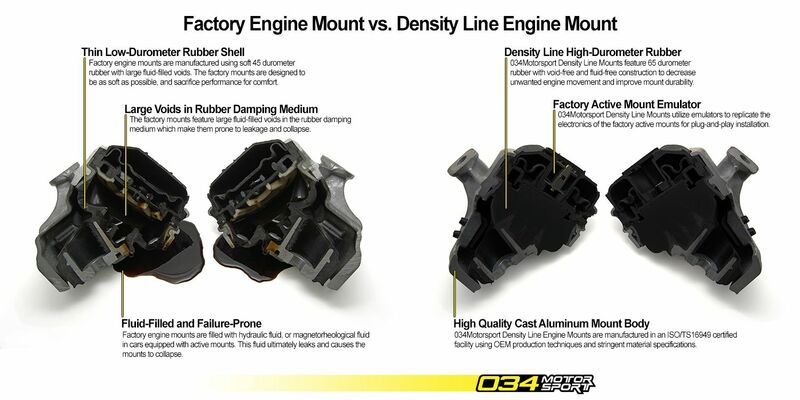 Designed to be a direct PnP replacement to the OEM mounts, the 034Motorsport Density line features internal Active Mount Emulators preventing any error codes on your dash board. 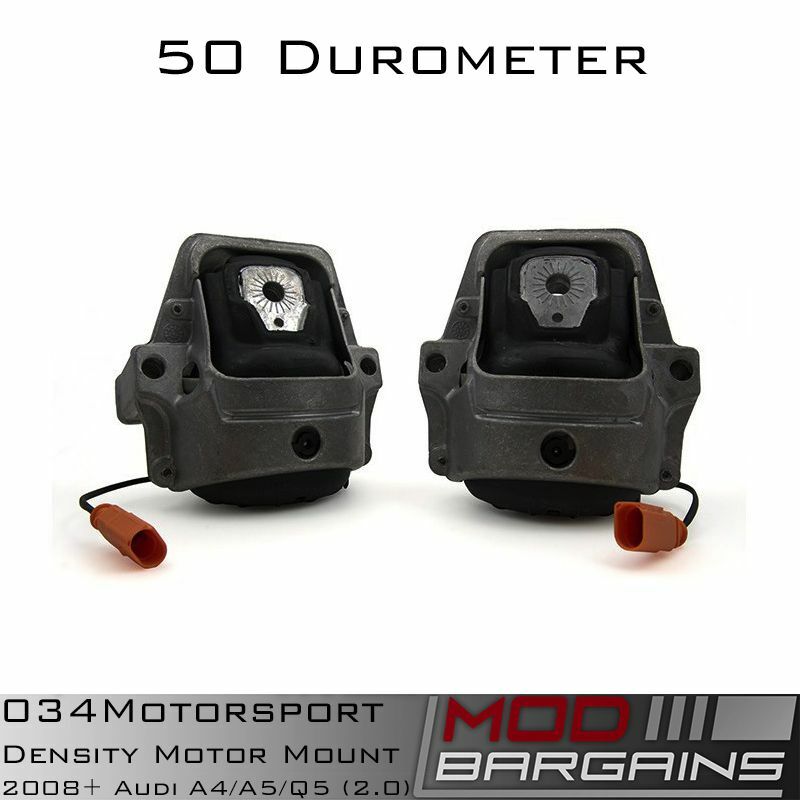 Please note, these mounts can also be used with the S4/S5/SQ5 line of B8 vehicles for those who want a great middle ground upgrade for their mounts, but don't want something as stiff as -THESE- which feature firmer 60 Durometer rubber optimized for the power loads on S vehicles.